If email is a key tool in your work, you will be used to juggling external and internal information, setting up rules for automated email messages, starring important threads, and creating tasks and events from items in your inbox. 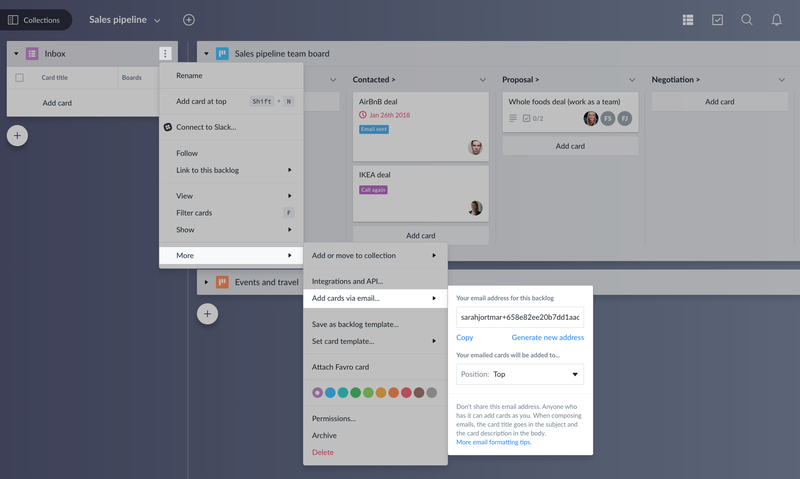 By integrating your email with Favro, you can make sure conversations that needs to be acted upon, end up as actionable items right in your planning and collaboration tool. This integration uses a third party service called Mailgun. Sending emails to Favro means that the data they contain will be handled by Mailgun. By using this integration, you consent to Mailgun providing these services to you. Sending emails to Favro means that the data the emails obtain will be handled by Mailgun. You are aware that sending emails is an insecure means of transmitting personal data.